Ford announced it was killing off almost all of its cars, and the world mourned…well, not quite. Sure, some people will miss cars like the Fiesta ST, but why would you buy a regular Fiesta or Focus in the first place when cars like the Honda Fit or the Toyota Corolla exist? That question is even more poignant now that the 2019 version of the Honda Fit is hitting showrooms. Honda just declared the little car would hit dealerships on April 30 with a starting MSRP of $16,190, which means it costs not a penny more than the 2018 model. The Fit is thus mostly unchanged, though it does now come with automatic high beams on the models equipped with Honda Sensing, and with a new Platinum Pearl White exterior color. We should point out that Honda Sensing is an absolute bargain: for only an extra $1,000, you get an entire suite of advanced driver-assistive and safety technologies. It includes automatic emergency braking, forward collision warning and pedestrian detection, adaptive cruise control, road departure mitigation, lane departure warning, and lane keeping assistance. It’s just one step closer to full automation. 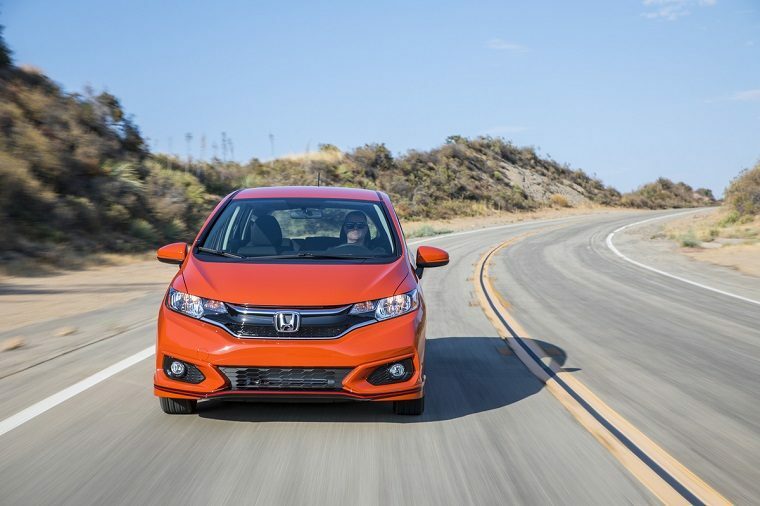 Under the hood of the 2019 Honda Fit is the same trusty 1.5-liter four-cylinder rated at 130 horsepower and 114 lb-ft of torque, which gets an impressive EPA-estimated highway fuel economy of 40 miles per gallon with the continuously variable automatic transmission (CVT). Spending just above $18,000 gets you the Fit Sport, which could be described as the bargain of the lot with features like Apple CarPlay, Android Auto and a 7-inch infotainment system. That being said, even the base model comes with a rearview camera, automatic headlights, Bluetooth, and LED taillights.